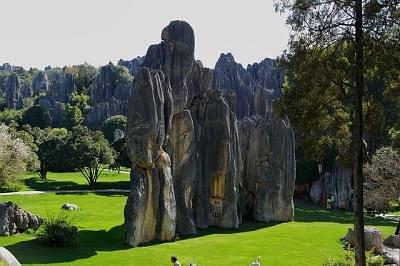 The Stone Forest (石林，Shilin), a UNESCO World Heritage Site, is a must see when you travel to Kunming and Yunnan. This unique landscape of karst limestone formations is an eye feast that will truly boggle your mind. While Jiuxiang Caves provides you amazing natural landscapes, magnificent underground karst scenery, and ethnic folk cultures. Our join-in coach tour will take you to visit both places with affordable price. 9:00 a.m. Driver and guide pick you up from the lobby of your hotel in Kunming Downtown (Within 2nd Ring Road). Drive about 1.5 hours and 90km to the Stone Forest (石林, Shilin). 10:30 a.m. You will visit the Stone Forest for about 2 hours and enjoy the highlights of this UNESCO World Heritage Site. It is one of the most spectacular subtropical karst landscapes in the world. 12:30 p.m. You will have lunch in a local Chinese restaurant. Then drive to Jiuxiang Caves, it is 40km, about 45 minutes’ drive. 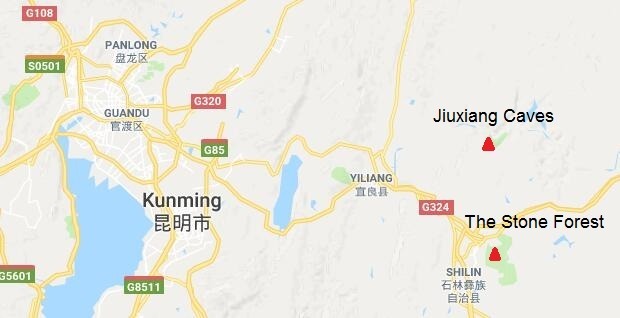 1:30 p.m. Visit Jiuxiang Caves (九乡溶洞) for about 2 hours. 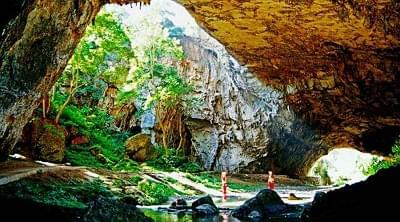 It is a large cluster of karst caves which includes rivers, waterfalls, gorges, forests, and ethnic minority cultures. 5:30 p.m. Drop you off at your hotel in Kunming. 1. Air-con van/bus with experienced driver. 4. Entrance ticket to The Stone Forest and shuttle bus ticket inside. 5. Entrance ticket to JIuxiang Cave and cable car. 1. Our free pickup area is within the 2nd Ring Road, for those who stay outside this area, you may need to take a taxi to our designated hotel or we pick you up with extra cost. 2. Advise to tip driver 2-3 USD and 4-5USD to guide. 3. You will be contacted at least one day in advance to confirm guide and pick up time. 4. The full payment is needed when booking is confirmed. Free cancellation for bookings cancelled at least 7 days in advance. 50% cancellation fee for 4-6 days prior, 100% cancellation fee within 3 days prior. Do you offer this tour via private car for 2 people only? If yes, What are the costs? Yes, we provide private tour. The quote is sent, thanks.